What’s that!?! It’s true. 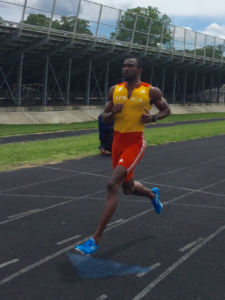 Nigerian 100 meter champion and Olympian Seye Ogunlewe (10.01s) fired up the track just before the start of Columbus League Meet #4. Then, his coach stuck around to scout our young athletes. Hope you saw something you liked, coach!